Ultra modern and stylish furnished Flat in the centre of Varsity lakes. Located next to a park (with BBQ facilities) and with a huge sundeck to relax on or watch the starts at night. The flat boasts a light filled living area with smart TV, kitchen and dining area, double bed and bathroom with large and modern shower. It offers high speed Internet available and plenty of wardrobe space. The flat is as new. It has just been painted and has new furniture. Only one minute walk from public transport, major supermarket (Aldi), coffeeshop, gym, Vie Pilates and picturesque Lake Orr. 6 mintes to Bond University by car or a 15-minute walk along the lake. 5 minutes drive to Robina Town Centre and 3 minutes to the M1. 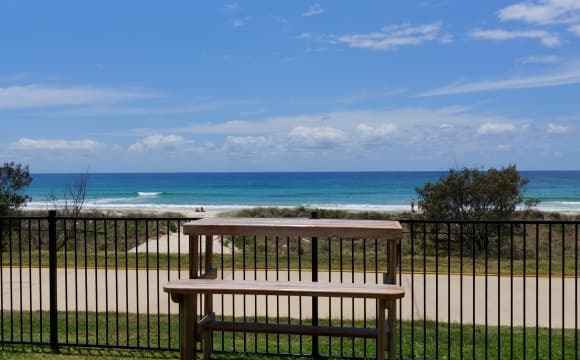 10 minutes to Burleigh heads We are looking for a respectful individual or a couple who is/are quiet, non-smoker en clean. Hi, We are looking for new mate who is tidy &amp; clean NO PARTY Available, only one male Sheard room →25 April Nice place in a central location, close to trams and buses. This house has 3 bedroom 2 bathroom. Shared bathroom. Washing machine for use and also kitchen , outside pool. Nice riverview Easy to get to every where by walk. 1 mins budds beach 5 mins surfers paradise beach 2 mins supermarket &amp; restaurant 4 mins tram and bus station No smoking inside the apartment , but smoking on the balcony is OK. Luxury Resort Apartment Centrally Located with Views: Spacious apartment (115m2) is ducted air conditioned, fully furnished with premium furniture and appliances package. Enjoy Ocean view from the comfort of your bed. Chevron Renaissance 5 Star Luxury Resort was built on a huge block of land in the heart of Surfers Paradise. Resort amenities include: - 3*Pools (Heated Indoor Pool, Lagoon Beach Pool and Outdoor Lap Pool) - Manicured Tropical Garden with Sun Lounges - 5*BBQ Stations with Entertainment Area (Undercover) - 2*Gymnasium - 3*Jacuzzi - 2*Sauna - Games Room - Private Movie Theater - Club Lounge/Conference Room The Property is live monitored by On Site Security on 24x7 basis through 84 video cameras located throughout the common areas of the resort. Shopping mall within resort include Coles Grocery Store, Restaurants, Cafe, Medical Centre, Bank, Shops....This Resort consistently gets 5 out of 5 rating from Air-BnB guests for Location and Resort Facilities. Displayed photo's are of Actual Room/Apartment/Resort or views from the balcony. For Your Private Use: * Your bedroom include solid timber frame Queen ensemble bed, Two Side tables, Table Lamps, Clock Radio with iPhone charging, Dressing Table, Double Mirror Built in Robes (BIR) with direct access to a huge balcony. Blackout blinds for late morning or during the day sleep. * Your full Bathroom Include Vanity with under sink storage, Hair Dryer, Shower over Bathtub. For Shared Use: * Fully Equipped Kitchen with Quality Granite Bench Top and Stainless Steel appliances including Dishwasher, Blender, Juicer. 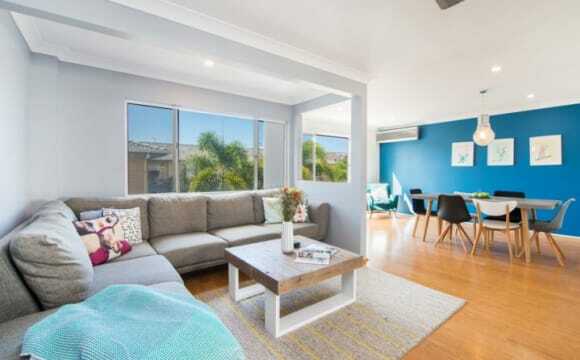 * Spacious Lounge with 3+2 Seater Comfortable Couch, 6 chair Dining Table, TV with Chromecast, Basic FOXTEL, 6 Speaker Home Theater Music System. * Clothes Washing Machine and Tumble Dryer in separate room in the apartment. * Spacious Balcony (20m2) with stunning view overlooking Lagoon Beach Pool, Palm Tree Garden, Ocean and City Skyline. Miscellaneous: * $200 security deposit for apartment key and security FOB. * Car Parking available or car available for use on reasonable terms. * Copy of Passport/Drivers License required * For couples $105/week additional rent. * Short term accommodation considered (minimum 4 nights) from close to availability date. Location: This luxury resort is located next to Cavill Avenue in commercial area of Surfers Paradise, surrounded by Luxury Resorts, Shops/Restaurants/Cafe, Night life, Attractions, Woolworth grocery store, Patrolled Surfers Paradise Beach, River Cruises, G-Link light Rail Station and local Bus stop all steps away. Intercity Bus Terminal 5 minutes walk. Broadbeach and Southport 10 minutes; Griffith University and Hospital 20 minutes by G:Link Light Rail. Property Additional Features: * Bedroom along with bath is on either side of lounge/dining for additional privacy. * Apartment is free from outside noise for sound sleep and peaceful living. * All rooms get full Winter morning Sun and little Summer Sun. * Each Tower has 4 quality Elevators and about 6 Apartments per floor, so little wait time. * Ocean view from all rooms. * Public transport at door to major Gold Coast Theme Parks and Airports. Clean, fully furnished newly renovated studio apartment with ocean and river view. Studio consists of 1 queen bed, (including pillows, quilt and sheets) bathroom with washing machine and kitchenette. Suits 1 person or couple. 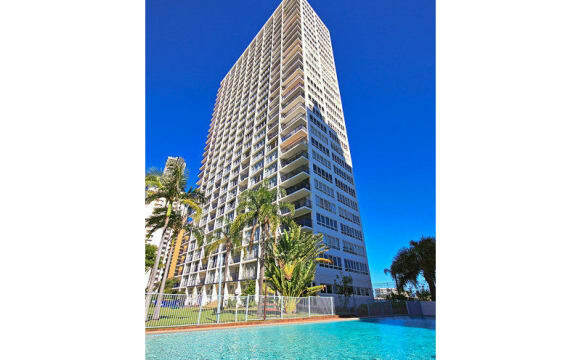 The place is close to Surfers Paradise patrolled beach (50 meters), Cavill Mall, shops, restaurants and tram. There is pool, spa and gym access in the building. International students or overseas visa holders welcome. Only clean and quiet people need to apply!! Rent payable monthly in advance. Bond equivalent to 2 weeks rent. Available 28th April, a single Fully Furnished Room. The room is available whilst ad is up. 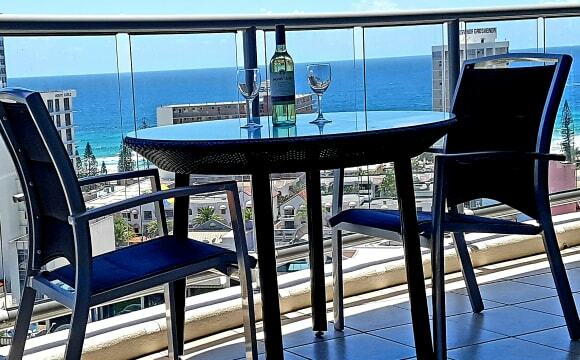 Located on Paradise Island in the heart of Surfers Paradise, your new room is in a clean, quiet and modern house. Great location! Easy access to the GC Light rail, shops, restaurants, beaches. Tram 5 mins walk, beach 7 mins Furnished room includes a Queen size bed, linen, desk, wardrobe Recently new carpet in bedroom and freshly painted house throughout. Washing machine and dryer in laundry A tranquil, quiet peaceful home. The main bathroom with separate shower and bath is shared between 2 rooms rented. 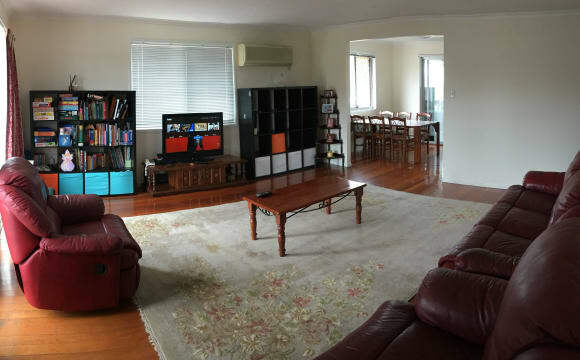 1 person- $200 Includes, electricity, water and unlimited wifi Working or student Outside smoking ok To arrange an inspection please contact James. Hi everyone my name is Andy (38) and I have a room to rent from June 1 2019. The room is furnished with a study table and chair, a queen sized bed, side table and a big wardrobe for your belongings as well as your own bath/ shower and toilet space too. 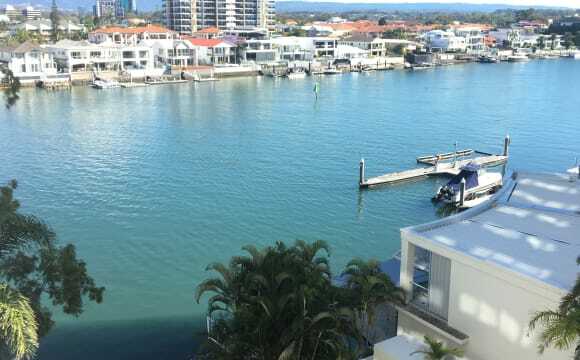 The Apartment has 2 bed rooms, a big balcony for outside breakfast and dining, and your only 2 mins from public transport (buses and taxis) and a 5 min walk to the G-Link tram station in Surfers Paradise from Chevron Island. I'm looking for someone who is working, honest, clean and tidy, respectful of others and their property who is looking for a quiet place to live. My place is not a Party home, I don't smoke or take drugs and very easy to get along with I have my son who comes and stays a few nights a week, We live in a safe area I know you would like it here. Rent is $230.00 per week for 1 person and $330.00 per week for 2 people/couple Power and Internet included. THIS IS A DRUG FREE HOME Thank you, Andy. Awesome views from highrise, great facilities (several pools, BBQ areas, gyms), perfect location (next to a lightrail station) and close to the river/beach,... everything you could possibly wish for! Fully equipped with dishwasher, washing machine/dryer, aircon,.. The room has two twin beds, a bathroom, own access to a small balcony and is fully furnished. This is a two storey house with two separate living areas. Located near the Southport Golf Club and GC Turf Club, at the ‘Bellevue Park’ end of Southport. The bedroom available is on the top floor and is 3m x 3m plus a built in wardrobe. It’s offered furnished (single bed, desk and chair) or BYO furniture if you have it. Living and common areas on both levels include rear deck and patio areas overlooking the swimming pool. Kitchen is on the top level and includes 3 fridges (one each) and a dishwasher. 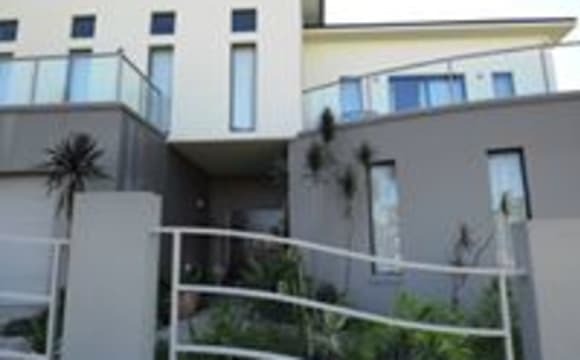 The house is in a central location 10 mins drive to Southport CBD and Main Beach, or 5 minutes to Surfers Paradise. Busses are also handy to these locations. Short walk to bus routes 738 (Griffith Uni / Broadbeach) 741 (Southport TAFE and language schools / Broadbeach), 740 (Surfers Paradise beach / Nerang train station) Walking distance to Ashmore TAFE. Fortnightly house cleaner is included (although you must still clean up after yourself) along with unlimited wifi, electricity, water, pool, and garden maintenance. Linen available if needed. A Couple or 2 friends can share a huge Double room WIR and en-suite! 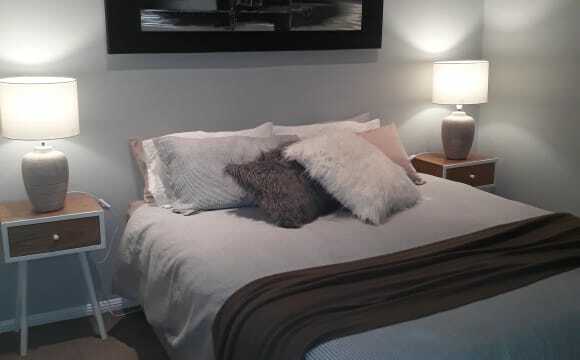 Master bedroom $300/$350 Single/couple Would suit professional couple or international students. Look out at the beach and watch the whales from your luxury king bed!! This unit has to be seen to be believed. Bohemian modern Bali deco. Beautiful plants, day bed on balcony, kitchen island/breakfast bar. You won’t want to leave. The room is massive, perfect for couples or friends/students travelling together. Brand new Air con in room and room for a desk. Great value for such a great beachfront property. The en-suite has a double vanity! The unit has a great vibe as the people are respectful and easy going. Second room with shared bathroom $200 - single only male or female Avail July The unit is open plan with plenty of ocean views. Great big kitchen, modern with a balcony overlooking the best part of the Gold Coast. Cool off in the pool or walk along the beach watching the sun rise/set. Long term options for the right people. Beachside living! Amazing place with direct beach access. Seatback and listen to the waves crashing or grab your board and go for a surf. The view from that table at the front is priceless! Neat and tidy conditions, the unit is freshly painted inside and has new carpet. It is fully furnished. The bedroom is unfurnished but the previous housemate left a bed and 2 bed side tables so you can have them if you want. Very central location, close to Tugun, Coolly, M1, airport etc... Internet, electricity and water are included in the rent. Sphere is the most wonderful place to live, especially for a Griffith student or a GCUH worker. We love it so much. It is very quiet. 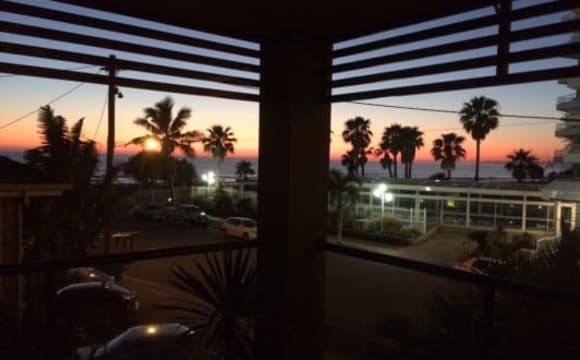 We are a top floor apartment and get a beautiful sea breeze which keeps us cool in summer and means we don't need the air conditioning too much. There is also a gym and a pool on site. Our bills have been rather cheap, for example electricity was $159 over summer (20 Feb to 16 April). Internet is $20/month. Ultra-spacious, large rooms and private accesss to room. This is a house with two levels - the upper level which has a private entrance is being advertised. There are four bedrooms - one has its own en-suite and is already occupied. There are three other bedrooms - one is occupied with a male of mature habits and pleasant personality. Two other bedrooms are available to let out. There is a communal, modern fully fitted kitchen and a lounge with a tv area as well as a dining area. The rooms are fairly large and spacious with each having a bed, desk and cupboard space. A washing machine and tumble dryer is in the laundry/ bathroom area. All expenses are included in the advertised price. Quiet, upmarket suburb with easy access to Robina Town Centre, the Varsity Lakes station and Bond University.